When you think about Las Vegas, you probably don’t think it’s a place for dogs. Actually, Las Vegas is a very pet friendly vacation destination. Many of the hotels on the Las Vegas Strip, have a pets allowed hotel policy and special room rates for guest with pets. They also have designated pet areas on property. The following are some of the pet friendliest hotels in Las Vegas, on the Las Vegas Strip. The Cosmopolitan of Las Vegas is a great option and one of our favorite Casino Hotels. It is centrally located on the Las Vegas Strip, across the Las Vegas Blvd from Planet Hollywood and situated between The Bellagio and City Center. The Cosmopolitan allows two dogs up to 25 lbs and charges an additional fee, per night, but they also provide a “pupjoy” box upon arrival. All rooms are dog friendly and really nice, most rooms even have private balconies. Dogs cannot be left unattended in rooms. There is a great little fenced area for pets located on the 14th floor by the Chelsea Pool. Dogs may not go in any of the restaurants, pools, fitness areas, or on casino floors, although I’ve seen many dogs at the blackjack table and walking through the casino. Please note that dogs checking in with guests must provide up-to-date vaccination records. Cats are not permitted. For more information visit their The Cosmopolitan Pet Friendly Program Page. Caesars Palace, Planet Hollywood, Paris Las Vegas, Rio All-Suite Hotel & Casino, Harrah’s Las Vegas, Flamingo Las Vegas, Bally’s Las Vegas and the LINQ Hotel & Casino are all part of Caesars Entertainment and have a Pet Stay Program Eight of their Las Vegas Resorts welcome dogs only and are greeted by several canine-friendly in-room amenities including a mat, food and water dishes, disposable waste bags and dog treats. Each of these PetStay resort hosts a designated PetStay area within the hotel, equipped with welcome packets that direct guests to outdoor relief areas and dog walking routes. We’ve stayed in some of these “Pet Stay” rooms and basically, what happens in Vegas, stays in Vegas, and these rooms. But these hotels are a good pet friendly option. The Vdara Hotel & Spa is located just a few steps next to MGM’s Aria Hotel, in City Center and offers a more home like stay. They also offer Long Term Stays which is great if you’re planning on staying more than 30 days. Vdara Hotel and Spa allows two dogs with a combined weight up to 70 lbs., for an additional fee per night. Cats are not permitted. There is fenced-in dog park across the valet parking area from the Vdara’s main lobby doors. The hotel does not have a casino and is a non-smoking hotel, they have designated special suites for guests with dogs. Their Deluxe Vdog Suite reservations include: Dog Amenity Upon Arrival, In-Suite Dog Dining Menu Available for Additional Fees, Eco-Friendly Dog Bowls Available Upon Request, Crates Available Upon Request and 24-Hour Dog Park Access with Walking Path. For more information visit their Vdara Pet Friendly Policy. Other Pet Friendly MGM Resorts include Bellagio, ARIA, Vdara, MGM Grand Las Vegas, The Signature at MGM Grand, Mandalay Bay, Delano Las Vegas, The Mirage, Monte Carlo, New York-New York, Luxor, Excalibur, Circus Circus Las Vegas. There are also other pet friendly hotel & casino properties located on the Las Vegas Strip and off the Las Vegas Strip. If you are planning on bringing your pup to Las Vegas, please note that there are no pet stores located on the Las Vegas Strip, so be sure to pack their food and treats. There are a few doggy daycare facilities close by the Las Vegas Strip, so be sure to research them, as it’s fairly tough find a restaurant in the casinos that allows dogs. It can also be very loud and crowded in the casino, so be conscious of that as well. And don’t forget that the temperature in the Summer can get well over 100 degrees, which makes the ground extremely hot. 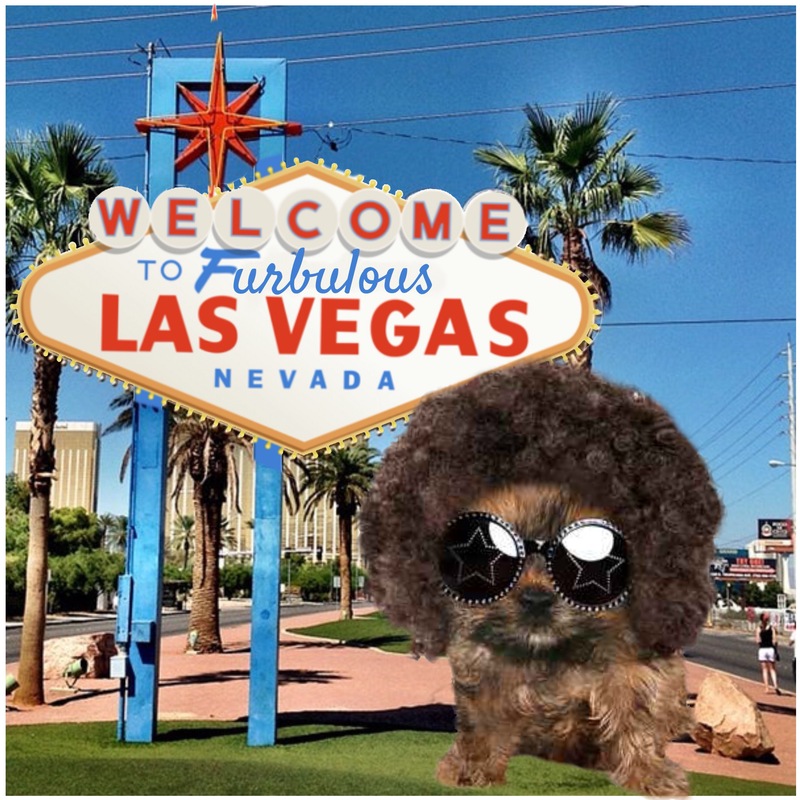 Las Vegas can be a great pet friendly destination, and who knows, maybe your Lucky Dog will fetch you some bone money, while you’re in Sin City.